Crush the biscuits to crumbs. Mix in the melted butter and zest of 1 orange until well combined, then press into the bottom of the tin. Mix together the cream cheese and icing sugar until smooth. Set aside. Melt the 200g of Chocolate Orange in a bowl set over a pan of simmering water, making sure the bottom of the bowl isn’t touching the water. Once melted, quickly whip the cream in a bowl until it forms soft peaks, then add the melted chocolate and cream cheese mixture. Mix until smooth and well combined. Pour onto the biscuit base and smooth out. Chill in the fridge for at least 2 hours. 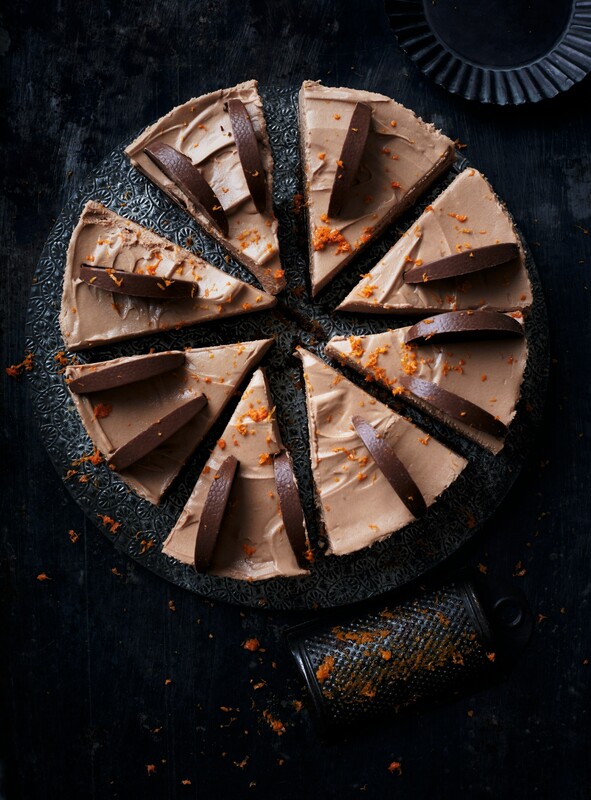 When you’re ready to serve, decorate with the remaining Chocolate Orange slices and orange zest.